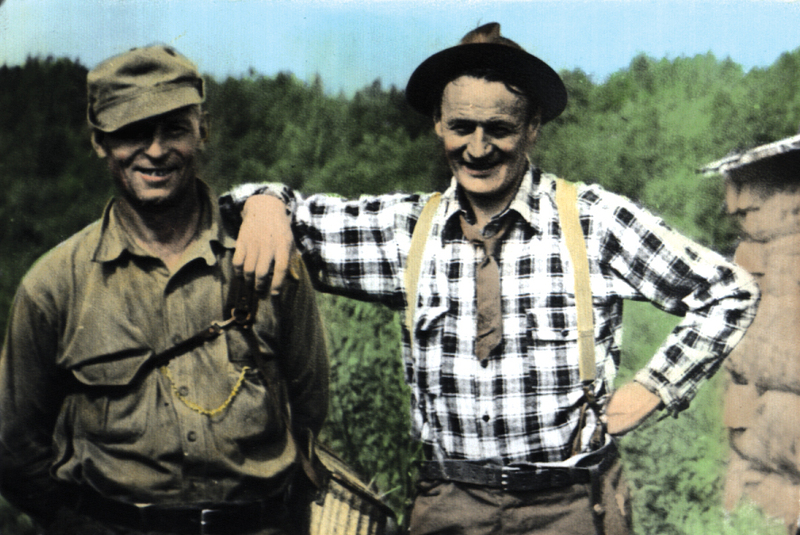 John D. Voelker, right, was a best selling author from the Upper Peninsula, penning "Anatomy of a Murder" and other fiction, along with essays on trout fishing. His "Testament of a Fisherman" is an often quoted passage. Voelker and his fishing companion, Louie Bonetti, left, paused for a photo in the early 1940s while fishing the Yellow Dog River near Ishpeming. Editor's Note: This is something I read once a year. Voelker used the pen name Traver because in that era being a writer wasn't seen as a dignified trade. Voelker was an attorney in Ishpeming and later a Michigan Supreme Court judge. I fish because I love to; because I love the environs where trout are found, which are invariably beautiful, and hate the environs where crowds of people are found, which are invariably ugly; because of all the television commercials, cocktail parties, and assorted social posturing I thus escape; because, in a world where most men seem to spend their lives doing things they hate, my fishing is at once an endless source of delight and an act of small rebellion; because trout do not lie or cheat and cannot be bought or bribed or impressed by power, but respond only to quietude and humility and endless patience; because I suspect that men are going along this way for the last time, and I for one don't want to waste the trip; because mercifully there are no telephones on trout waters; because only in the woods can I find solitude without loneliness; because bourbon out of an old tin cup always tastes better out there; because maybe one day I will catch a mermaid; and, finally, not because I regard fishing as being so terribly important but because I suspect that so many of the other concerns of men are equally unimportant -- and not nearly so much fun.